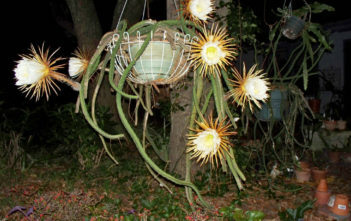 You are at:Home»Archive for "Selenicereus"
Selenicereus is an epiphytic, lithophytic and terrestrial genus of cacti found in Central America, the Caribbean and northern South America. 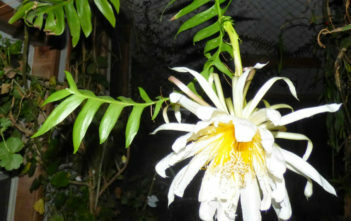 The genus is named after the Greek moon goddess Selene as the flowers open at night. 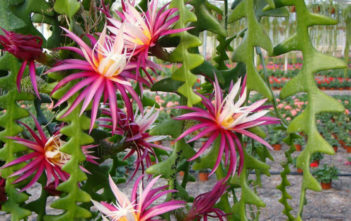 Click on the photo or the name of the succulent plant for which you wish to see further information. Back to Browse Succulents by Genus. 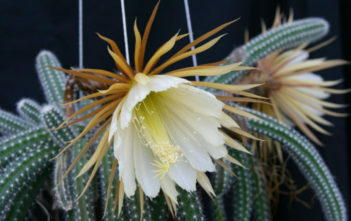 You can also browse succulents by Scientific Name, Common Name, Family, USDA Hardiness Zone, Origin, or cacti by Genus.